Stanford’s freshman Ella Eastin just joined a pretty elite club tonight with her 3:59.30 in the 400 IM at the Women’s Pac-12 Championship. She joins the ranks of those such as Hungary’s Katinka Hosszu, Caitlyn Leverenz, Julia Smit, Maya DiRado, Elizabeth Beisel, and Melanie Margalis. 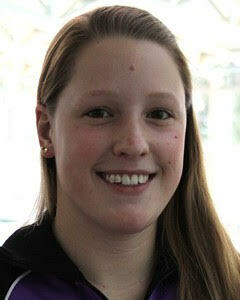 Eastin is also notable for being the youngest swimmer to do so–she won’t even be 19 until March.